The frame was the main project, I basically followed the directions, but added a photo of me, my mom, and my sister to it by punching it out with the full heart punch. There's a ton of tag bases in the kit as well, so I made a few tags using the materials provided and some scraps I had lying around. I still have tons of left over materials, and of course the stamps and ink I'll be able to use for a long time too! If you're interested in a My Paper Pumpkin subscription, check it out here, or get in touch with me. You can also pre-pay for a 1, 3, 6, or 12 month subscription (with savings!) for yourself or someone special, which will get you a special gift from me! Here's this week's deals! 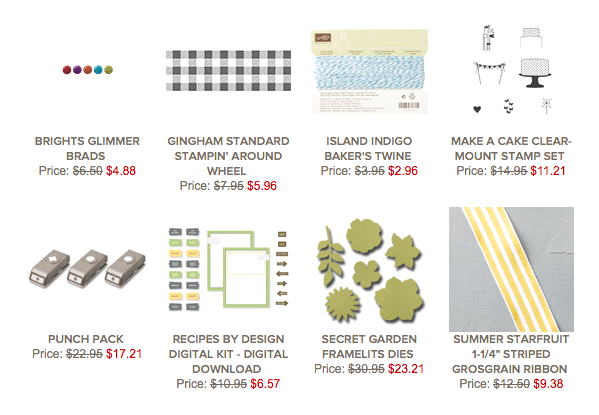 Don't forget all the other goodness in the online store too! 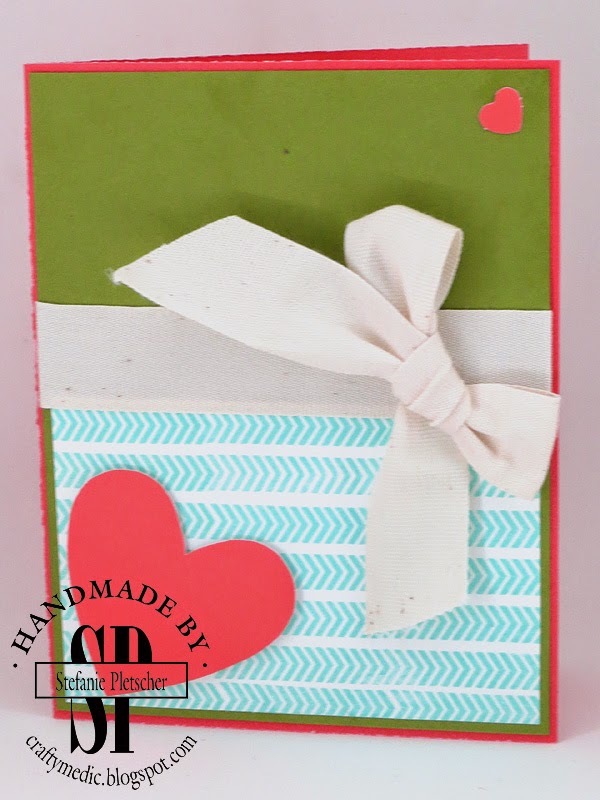 I just wanted to share the card we made in Technique Club yesterday. Very sad to see some of these products go, but excited for the new ones! Contact me if you're interested in joining or starting a club, and check out the retiring list online! I'm open to other dates if there's enough interest too. Contact me if you'd like to join these classes or start a new one. 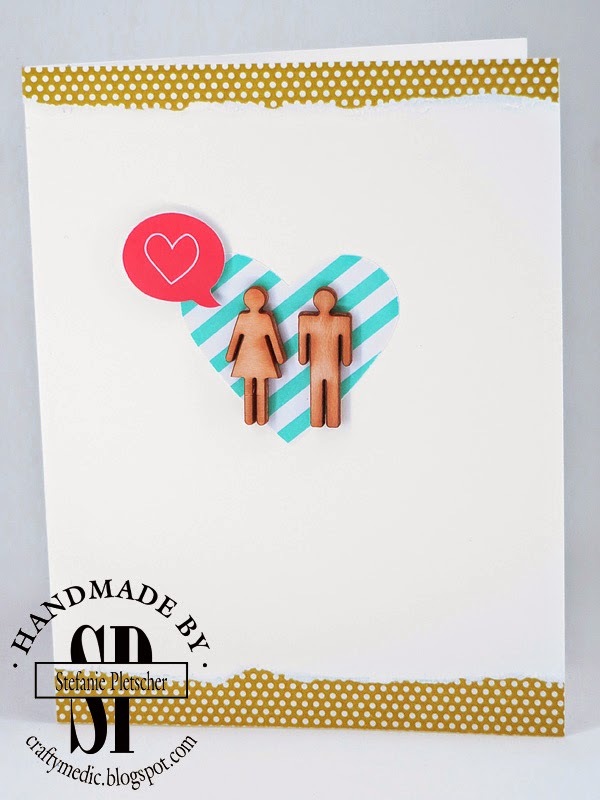 I was poking around my photos the other day and came across this photo of a card I made and never posted. It's a CASE from somewhere that I redid to go with a challenge, but I can't remember anything more... This is obviously from before my new photo set up, I'm amazed at what a difference that's making! EDIT: Thanks Holly! I figured out where I CASEd the idea from! Another My Paper Pumpkin left over card! 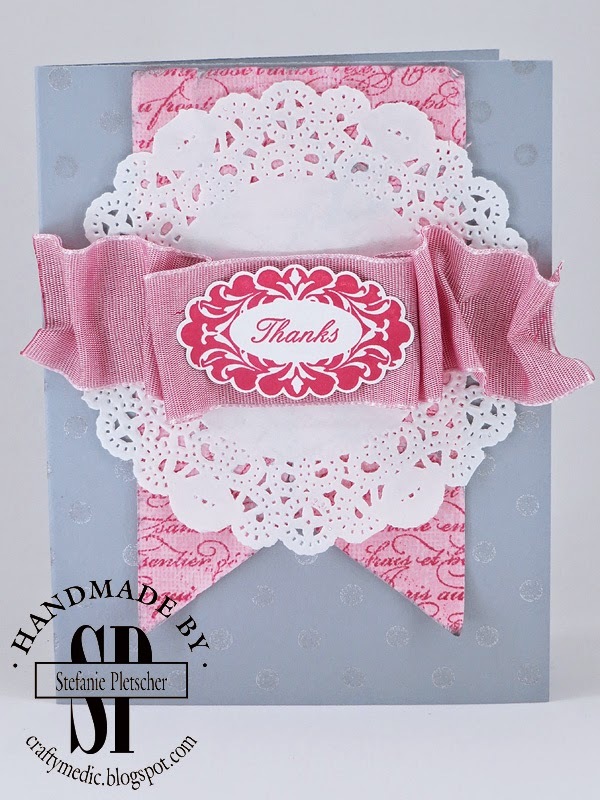 This one is from the Love Notes kit. I had some bits left over and loved these monochrome pieces, so made this quick little card. It was actually VERY hard to photograph, too bright and the doilies didn't show up, and too dark and it all looked muddy. I'll be sharing my tricks about photographing cards soon! If you'd like to sign up for My Paper Pumpkin for yourself or someone else, get in touch with me or check out the site here. Recently I've been trying harder to use up the bits and bobs I have from My Paper Pumpkin and other kits. I'm a bit of a hoarder, so that's very difficult for me. Luckily there just keeps being new product that's just awesome, and I know I have to make room. These four cards are from the Real Life album kit from a few months back. 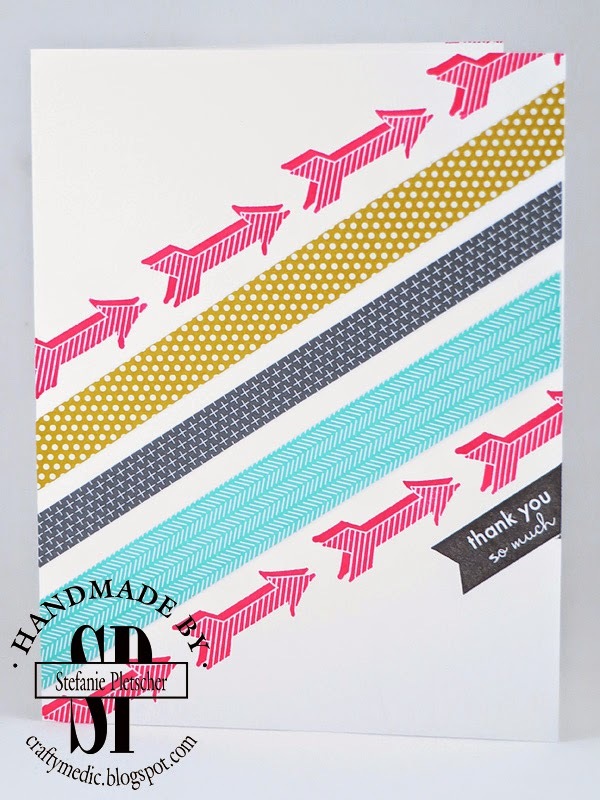 I never did make the album, scrapbooking isn't really my thing, but these cards, inspired by some on the Stampin' Up! corporate blog, are way my style! I did throw in a few extra bits I had lying around from other kits, as well as some ribbon and bling that was on my desk. 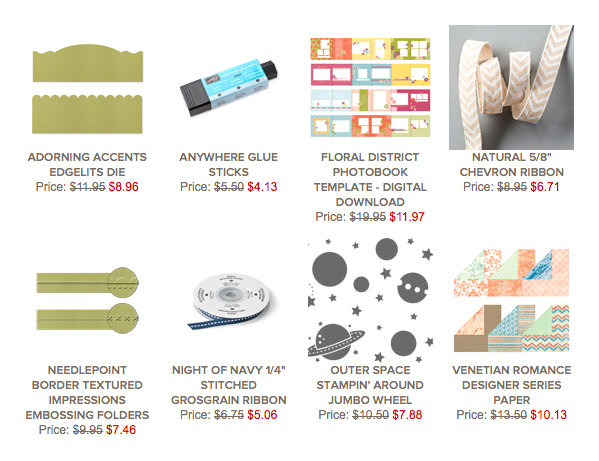 But these cards were all made with extra stuff, so are essentially free! I needed some cards for some overachievers in my life, so I drew some inspirations from a few places. I came up with the concept of using the Hexagon Hive framelit after Angela's Diva Night (see the last post for more about that). I filled in the empty spaces with pieces from the other cards, then sewed my sentiment on over top. 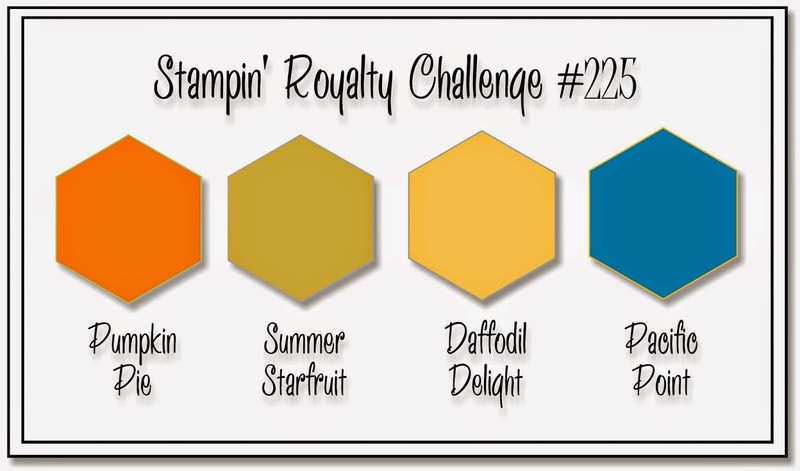 The colours are from the Stampin' Royalty Challenge, a combination I would have never thought of myself, but it works! I used my new rotary attachment for my paper trimmer to get the great little scallops around the edges. I loved my trimmer before, but the rotary attachment is by far the greatest cutter I've ever used, and I love the easy swappable blades! I bought the LED strip lights at Costco, and used a cube of my Ikea Expedit shelf (which holds all my craft stuff already) to create a useable, and practical, light box for photographing my projects. I'm so glad I finally got this checked off my list! I still need to improve the backdrop slightly, but for now this is perfect! I wanted to share this quick photo I sent to one of my Divas. We made this card at Angela's quarterly Diva Night. For those that don't know what that is (probably a fair chunk of you), Diva Night is an evening of fun and crafting with our Stampin' Up! group. Angela is my upline (demonstrator I'm signed up with), my downline Lisa came last time too (a demonstrator signed up under me), as well as one of my sidelines (another one of Angela's downlines). We'd all earned the evening by promoting, recruiting, having a minimum sales level, or like me, all three! Angela fed us a wonderful dinner, we made a few fun cards and crafts, and laughed our butts off. I can't wait for the next one! If you'd like a chance at earning a Diva Night experience too, contact me today to find out some of the fantastic opportunities to have fun and make money as a Stampin' Up! demonstrator. PS Do you like my new watermark? It coordinates with a new stamp I ordered to put on the back of my cards! It's available with any custom text! 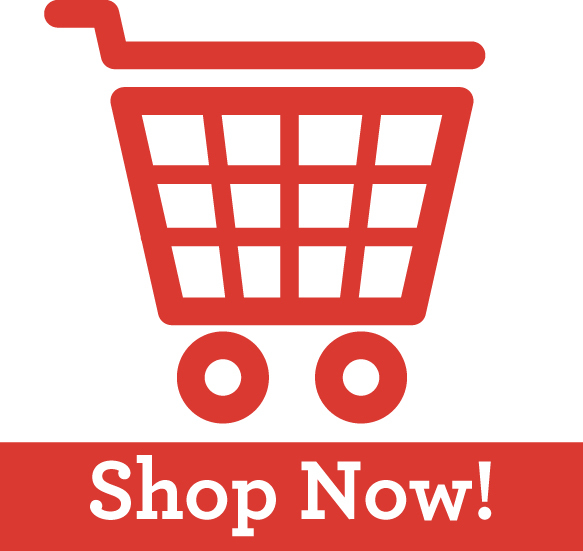 And don't forget the retiring items, clearance rack, and that you get FREE shipping until April 25th! Don't forget to use the hostess code "A2FCJFJG" to get some free goodies! Well, that sad day has come. Time to start saying goodbye to some of the products in the 2013-2014 Annual Catalogue to make room for new ones. Check out the list by clicking on the image below, if you do place an order, make sure you use the hostess code "A2FCJFJG" for a chance at some free goodies, and don't forget there's free shipping on all orders before April 25th! 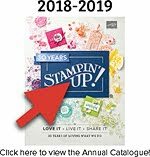 Starting on Monday (the same day the list of retiring products will be released) you'll have four days to order anything you want from Stampin' Up! with FREE SHIPPING! So excited! Email me now to place an order, or go straight to the online store. 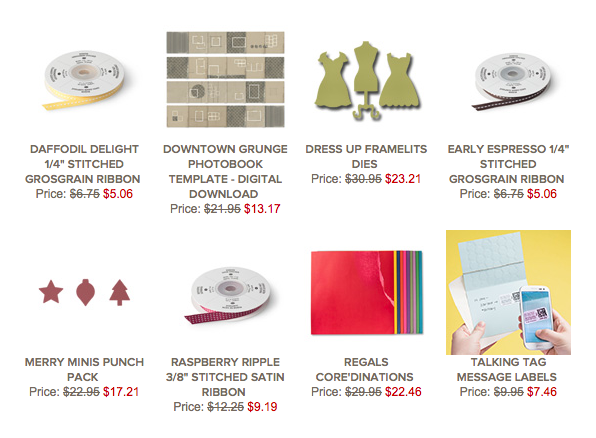 If you order online, use the hostess code "A2FCJFJG" and you'll get some special goodies too! But hurry, this is only valid from April 21-25th! I will be posting the retired list on Monday. 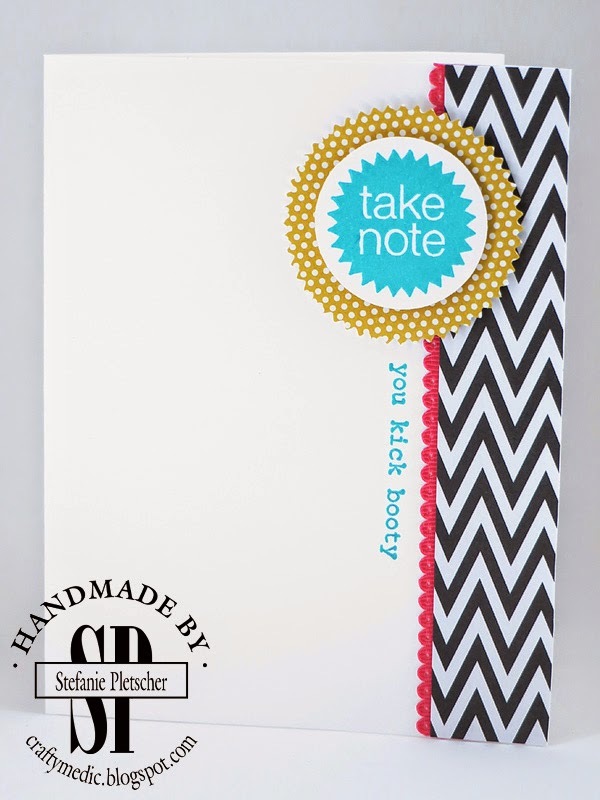 I'm soooo excited for this new product line Stampin' Up! is going to be offering. 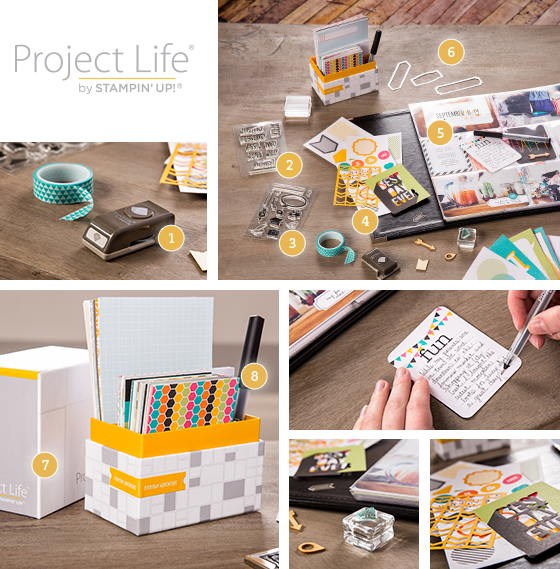 If you're not familiar with Project Life, it's a super simple, but amazingly gorgeous, way to scrapbook and organize all your photos and memorabilia. Here's a look at some of the products you'll be able to order through me starting May 1st, and then in the new catalogue. Stay tuned for some of my projects (I already have some fun ideas to use these products in different ways) and information about the new catalogue. Another week of awesome deals! 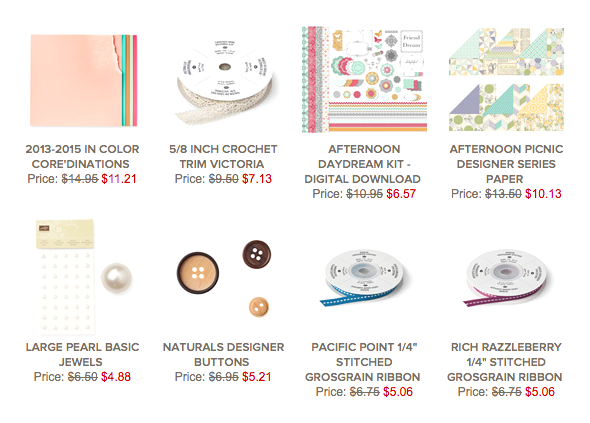 The Needlepoint embossing folders and chevron ribbon are two of my favourite products, and I'm stoked to see them on here! Check out the online store for these and more deals, or contact me to place an order. Welcome to my stop on the April Wacky Watercooler Blog Hop! 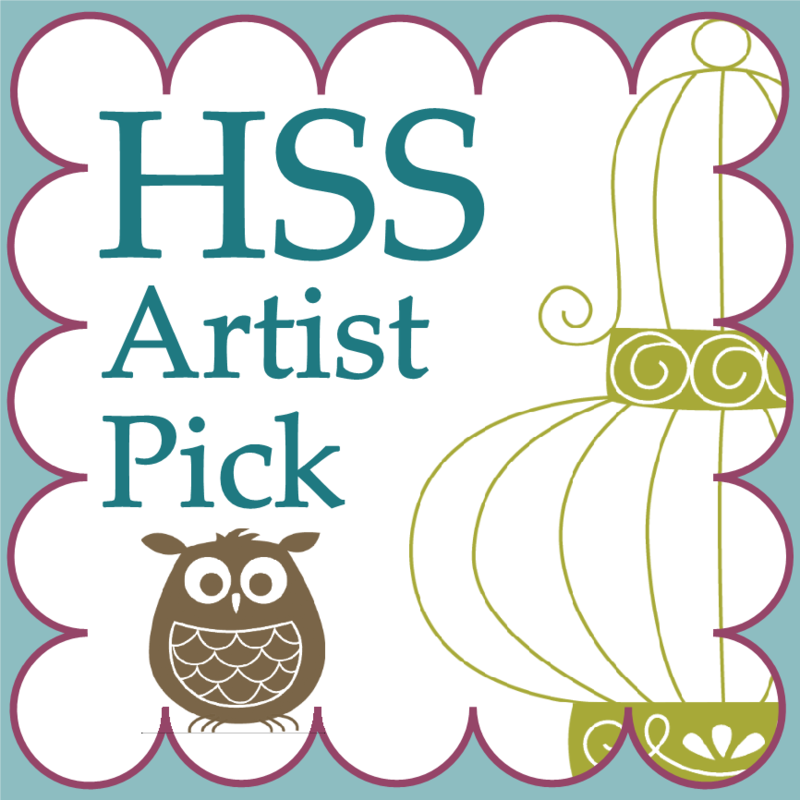 If you're new to my blog you've probably come over from Heidi's blog, and welcome! For those that are new to blog hops, you can go forward and backward using the water cooler buttons at the bottom of this post to check out the 15 lovely ladies around the world that have put up posts featuring a current spring themed Stampin' Up! products and projects. I had a bit of a rough start getting inspired for this month's project. Spring isn't really a reason for me to make cards normally, all my birthday's are done, I don't celebrate Easter, and my mother always said "every day should be Mother's Day!" But spring to me does mean gardens full of flowers, so that's what I did! This mini-album came together so quickly I amazed myself. The Thinlits Card dies make it a snap, with a few cranks of the Big Shot and slides of the Simply Scored tool, I had an album in my hands! I really wanted to pack in the flowers, so I stamped and punched a pile of them and went to town. 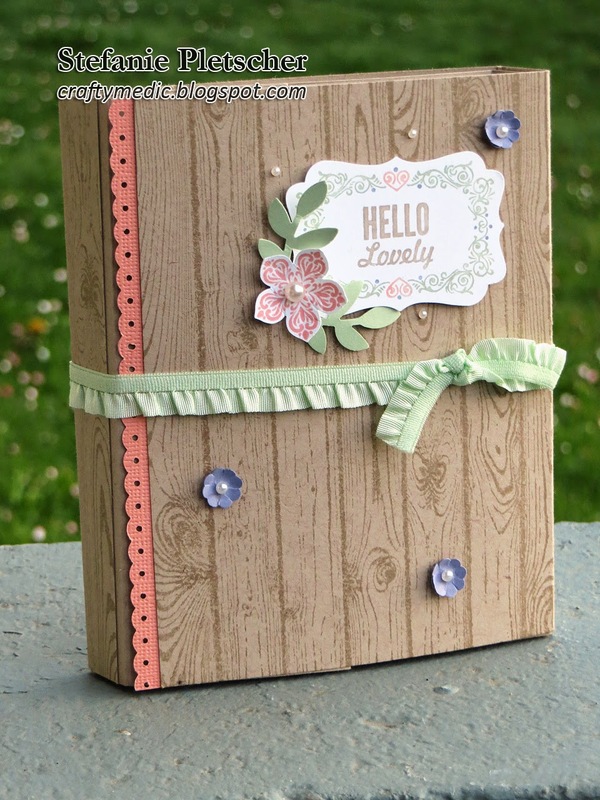 The Petite Petals bundle came in super handy, gotta love coordinating stamps and punches. Leaves from the bird builder punch keep them anchored to the page. The little flower from the Itty Bitty Shapes Punch Pack also made an appearance as an extra sprinkle. The new Hardwood background stamp lends a nice fence board look to the photo mats and background (I can't get enough of tone on tone stamping with Crumb Cake obviously). Last but not least, a fun Sentiment from Hello Lovely coloured in with Stampin' Write markers, and a garden of flowers has exploded all over my project! So pop on over to the next blog on the hop (Jackie) and check out the rest of the stops along the way! 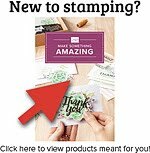 If you'd like to buy any of the products featured in my album, or anyone else's project, get in touch with any Stampin' Up! Demonstrator to place an order. I totally gapped, I'm sorry. These are a day late, but still valid! 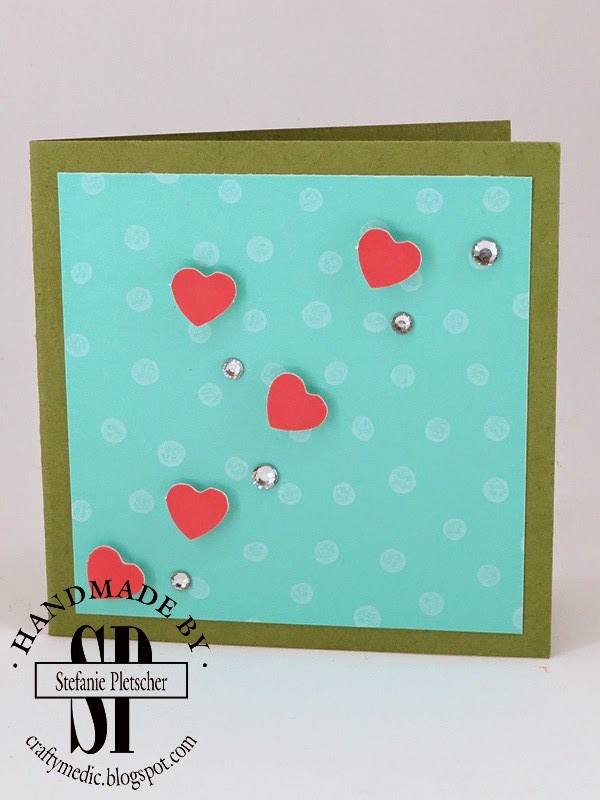 Check back tomorrow evening for the Wacky Watercooler Blog Hop, where I'm featuring a sweet spring project using the Mini Punch Pack that's on sale this week! 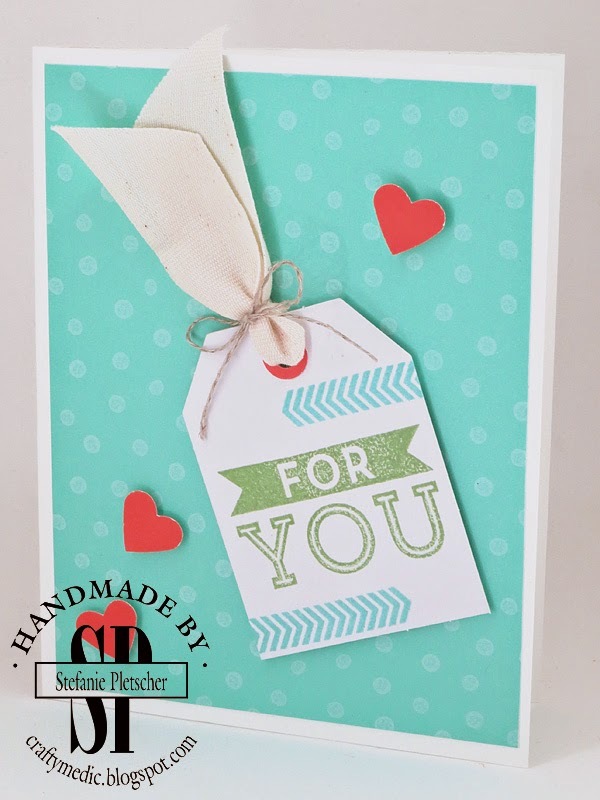 I got this idea from the fantastic Delys Cram, a Stampin' Up! Demonstrator from New Zealand. 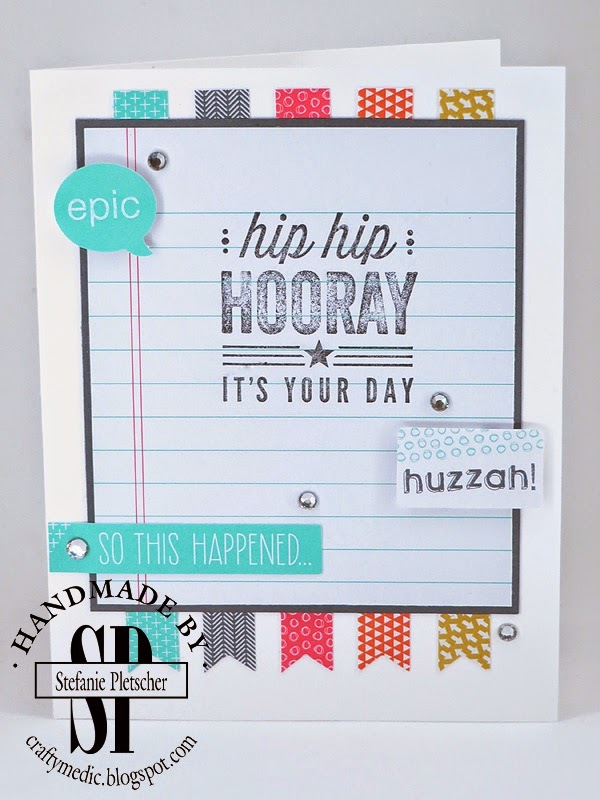 She took the Hip Hip Hooray kit and turned it into a mini-album! 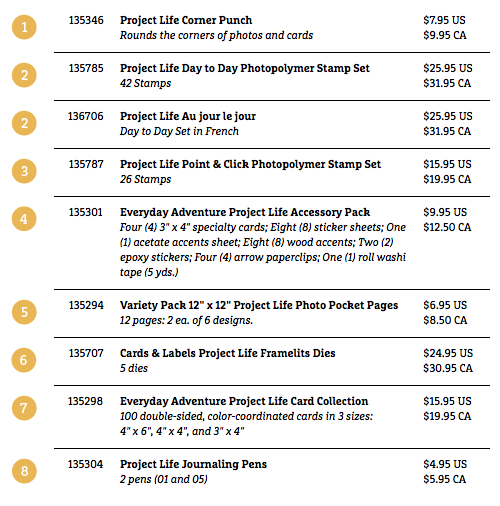 The kit will actually make more than one of these, or a bunch of cards and an album, all for $24.95. You can get your kit in the online store or by emailing me. I made mine a little different than Delys (though the instructions from her blog are great), I added an extra page and made the tags smaller. 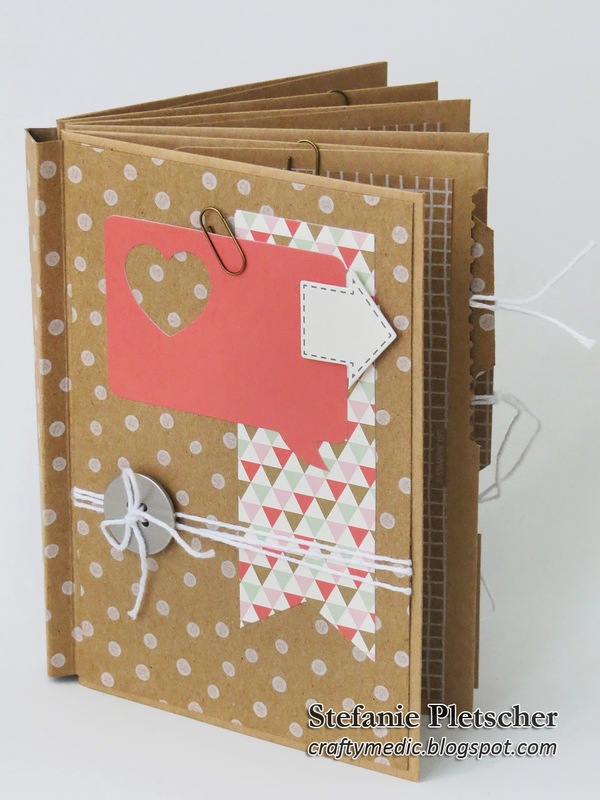 Each of the tags slides into the edge of the page for extra space for photos or journalling.